Everyone wants things to be easy, we also want security. With the LOCKRACK your get both! Once these are on your car, taking your board on and off will be a breeze. We have been using them and have been really amazed at how well they have worked for us. By combing a locking slide with the racks rubber coated arms the rack perfectly cradles your gear. 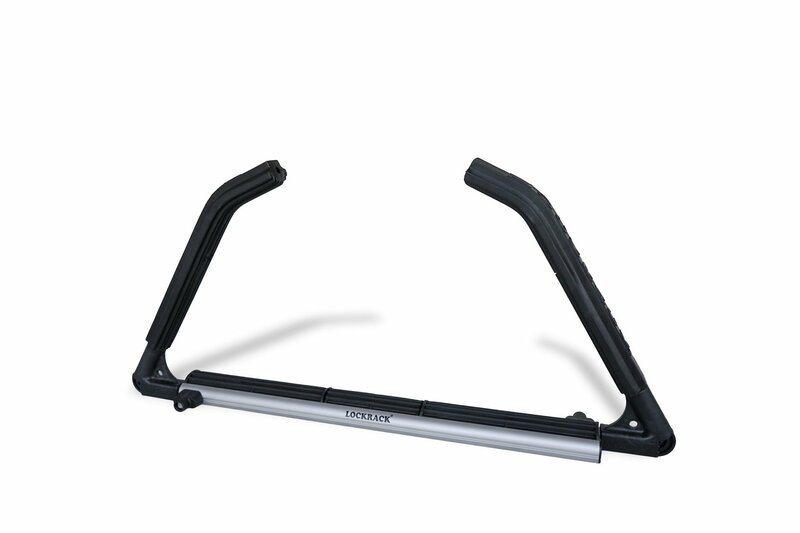 This LOCKRACKTM model is designed to hold 1-2 stand up paddle boards, kayak, or canoe and features a base width of 25.6". Manufactured to the highest standards using rust-resistant materials. 2 x Rack Bases each with a base width of 25.6"